TeamUp is a project by War Child, Save the Children and UNICEF. It is a project for refugee children from the age of 6 until 18 years old. The children had experienced war, violence and many stressful situations, This could result in insecurities and anxieties. TeamUp is there to help those children, they want to help them forget all of their problems and let them be normal kids again. TeamUp organises fun sports-, game- and movement activities to teach te children how to handle their feelings. These activities also reduces the chance of psychological problems, help identify children who need more social support and help children to deal with stressful situations. 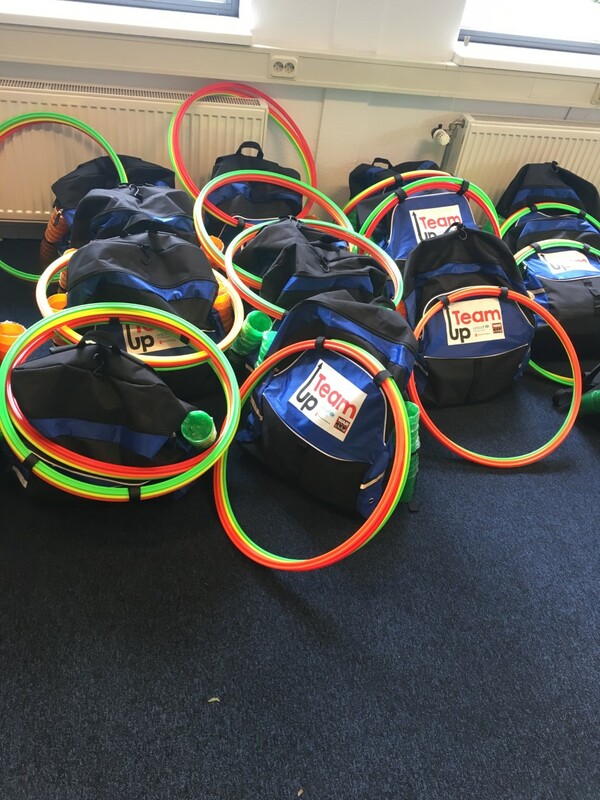 Some volunteers will visit the refugee children with our TeamUp kit. The TeamUP kit is a backpack which has almost everything for the children to have a good time. It contains a football, volleyball, music instruments, a first aid kit and much more. They could play all kinds of games with the objects and even start a little band with the music instruments inside.